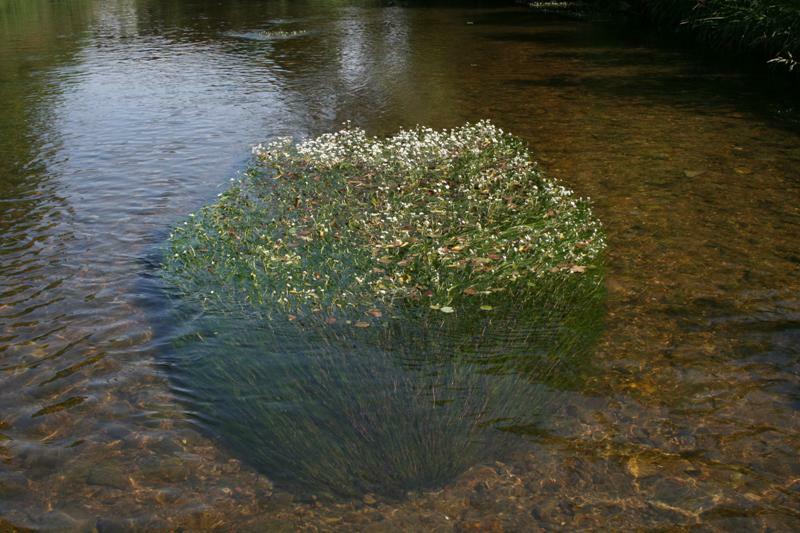 Egg-shaped patch of Stream Water crowfoot Ranunculus penicillatus in the Biała Lądecka stream, a submountainous river in Sudety Mountains, distr. Kłodzko, Poland. Photo: Wojciech Puchalski.